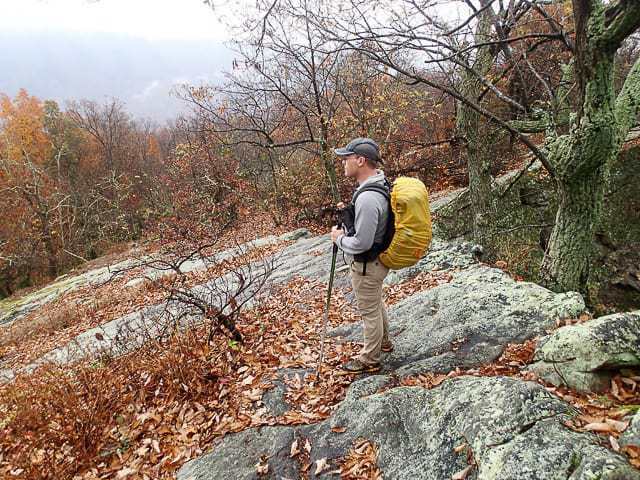 Virginia is often overlooked when it comes to the great outdoors, but there are some truly incredible hiking and backpacking opportunities in the state and the Virginia Triple Crown is among the best — check out my list of the top six hikes in Virginia, as well. 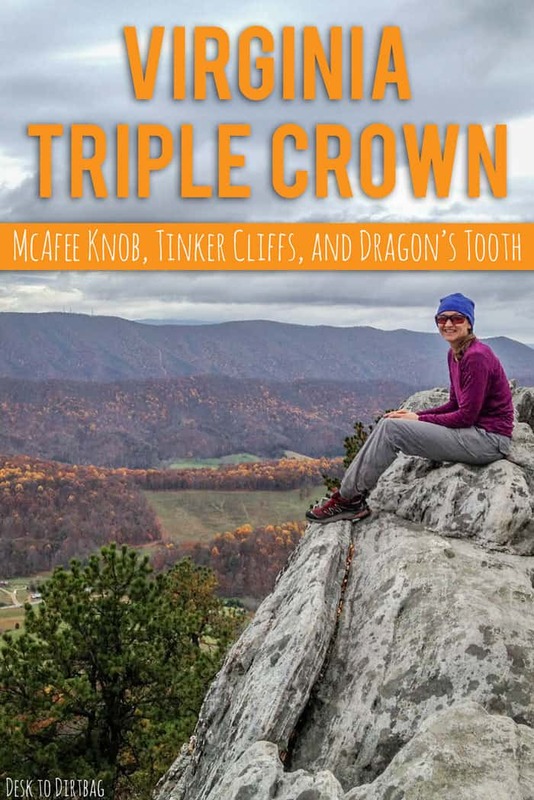 The Triple Crown is a 37 mile backpacking loop which includes three of the iconic vistas — McAfee Knob, Tinker Cliffs, and Dragon’s Tooth — along the Appalachian Trail near Roanoke, Virginia. Indeed, McAfee Knob is one of THE most iconic shots along the entirety of the AT, with the rock ledge jutting out into the sky. Four of us from the DC UL Backpacking group set out Friday night after work for the four-hour drive down to southern Virginia. It’s a long haul, but I really wanted to check out these classics before I left Washington, D.C. and set out on my massive road trip. With a quick stop for a four-star dinner at the Sheetz gas station, we made it to the trailhead (311 / Catawba Valley Dr) around 10pm. From there we headed off in the dark to cover the first couple miles and set up camp near the Catawba Mountain Shelter on the way to McAfee. I decided to just cowboy camp with an open bivy since we’d be there so briefly and I wasn’t expecting rain. 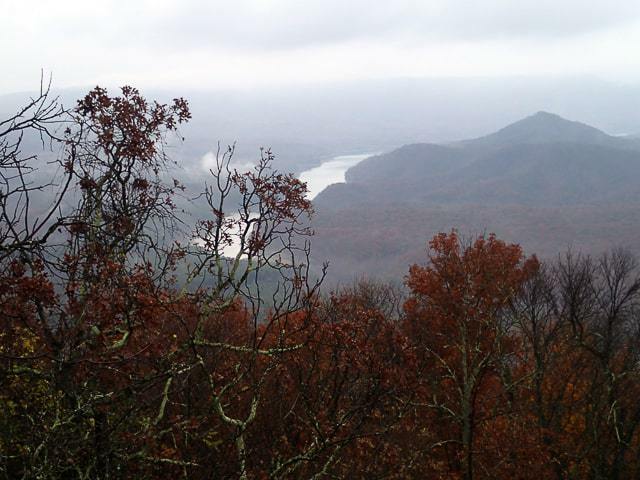 Cold, rainy, dark… Ideal hiking weather! We pressed on in the hope that it would just be a quick passing storm. We arrived at McAfee Knob with another 20 minutes or so before sunrise—and while it was totally clouded in, we still debated about whether or not to stick around. You never know, inclement weather can provide either a super-spectacular sunrise or a total let down. We were getting chilled waiting on the blustery overlook and opted to continue down for a mile or so to the next shelter (Campbell Shelter) where we could have our breakfast and coffee. As we hid out under the little three-sided shelter for breakfast the rain began to let up, thankfully. We were bummed that we didn’t get the awe-inspiring sunrise that we hoped for on McAfee, but that’s mother nature for you; we still hoped the day would break in our favor as we pressed on to Tinker Cliffs. We pounded out the next couple miles in good form, ascending steeply at times up to the Cliffs. Unfortunately, the clouds were still totally enveloping us at this elevation and all we had were thick pea soup views. It was somewhat eerie and enchanting though, I must say; to have these cliffs completely obscuring the ground and leaving it to one’s imagination as to what was beneath the veil. Despite the lack of a view we still hung around the Cliffs for awhile for a late morning snack before continuing on to Scorched Earth Gap and then beginning our descent into the valley via the Andy Lane Trail. Back in the valley we got the feeling that the weather was beginning to break. We topped off our water supplies since this was our last source for the day—we’d be camping high on the North Mountain Trail ridgeline later. We proceeded across the valley, through pastoral and idyllic farm lands, ascending up and over makeshift staircases to get through the farmer’s barbwire fences. At times it felt slightly reminiscent of a Spartan Race or Tough Mudder—who has to clamber over barbwire on a backpacking trip? After crossing the valley floor we arrived at the blue blazed Catawba Valley Trail which had signage indicating it was “Most Difficult”. It offered a sustained, yet moderate, 1,100 or 1,200 foot climb up to the ridge proper. It was a nice climb. You arrive at the junction with the North Mountain Trail, which we’d be taking south bound. The North Mountain trail is spectacularly situated on the crest of the ridgeline and throughout much of it offers outstanding views on both sides of the trail (at least when the leaves have dropped). Parts of the ridge are nearly knife edged—I’d love to see this area in the dead of winter with significant snow. The ridge undulates up and down—nothing too big or too steep, but I’m sure there is a significant accumulation of elevation throughout. We finished off the majority of the ridgeline before finding a nice campsite just past the intersection with the Grouse Trail. There was plenty of space for both Michael and I’s Trailstars (MLD) and for Sharon to MacGyver a shelter with her rain fly (she forgot her tent poles at home). Ample firewood was available nearby—it was apparent that this section of trail isn’t nearly as popular as the AT on the neighboring ridge. Sunday morning we aimed to hit the trail by 7:30am. We still had a long day ahead of us… Indeed, we thought the whole loop to be 35 miles, but it turned out to actually be 37, making for an extra hour on the trail today. We continued along the North Mountain Trail for a few more miles of amazing scenery before descending steeply down to the road. Here we arrived at the parking lot for the third peak of our Triple Crown, the Dragon’s Tooth. It’s only two and a half miles from the parking lot but there are all sorts of ominous warnings to discourage the unprepared day hiker from attempting it (good hiking boots or broken ankle, high end rain gear or hypothermia—oh no, I have none of these!). The first mile and a half climbs moderately out of the valley and then reconnects with the AT, from there the last bit turns a little more hairy with moderate third and maybe fourth class rock scrambling. It is the most precarious section of the AT that I’ve ever been on; they’ve even installed some metal rungs to provide footing in certain places. As a climber I found it quite fun, and didn’t feel encumbered by my light pack or trekking poles, though I did stow the poles toward the end. Eventually you top out on the ridge at the intersection with a short side trail off the AT to the Dragon’s Tooth proper. There is one large flat area where people obviously camp and a wide rock notch with views down the valley and back toward McAfee Knob. You can easily clamber up to the top of the rocks for an even more spectacular view. It was still overcast today but the view was absolutely worth it—especially after getting shut down at McAfee and Tinker. The leaves were past their peak, but there were still some vivid yellow leaves at the bottom of the valley. We descended back down the scrambly portion of the AT, having to backtrack for a period before gaining new ground on the AT. We would stick to the AT north bound which would take us back to our car at 311. We still had about 7.5 miles to go from the Dragon’s Tooth. We descended back in the valley once again—crossing pastoral farm land and ascending up and over numerous barbwire fences. I would guess that this sort of scenery isn’t something the most weekend hikers see and is probably more familiar to thru-hikers or section hikers. We then ascended back up to the ridge and cranked out the last four miles or so along the undulating ridge. The topo certainly doesn’t suggest as much elevation gain and loss as there actually is, making for a sometimes slow going and trying affair after you’ve already walked 32 miles in the past day and a half. Up and over another hill—there’s a young couple with a kid. And another hill—an older couple taking in the view. 37 miles down in a regular two-day weekend… Good times, but now I’m just looking forward to the post hike restaurant and the drive back. It’s hard for me to really speak about the views since we only got one of the three vistas, but that one vista was really awesome, and I’ve seen pictures of the others so I think they’d be worthwhile as well. The Triple Crown features the supposedly three best views on the AT in Virginia, and our hike combined all three vistas into a pretty large and ambitious loop — it is certainly among the best hikes I’ve done in Virginia. We did it over the course of a normal two day weekend (Friday night to Sunday) with a 2 mile / 20 mile / 15 mile split. But you could probably break it up over a three day weekend to resemble something like a 10/15/10 split. There is a significant amount of elevation change (gain/loss) throughout the course of this loop, so it isn’t for the faint of heart. You will work hard but will be rewarded with (weather cooperating) outstanding views and, excluding the popular parts of the AT, pretty quiet trails. Warning: This trip and mileage is outlined for ultralight backpackers, if you need help dropping weight from your pack I highly, highly recommend reading Andrew Skurka’s Ultimate Gear Guide and the awesome (and animated) Ultralight Backpackin’ Tips from Mike Clelland. I would not recommend a loop of this nature for traditional backpackers in the 30-40lb pack weight range. Less is more. 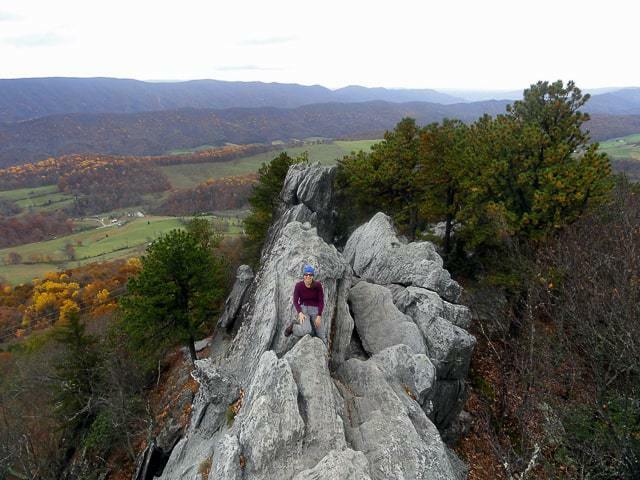 Don’t miss my article on the top six hikes in Virginia for backpackers. Be sure to check out the comments below for additional information and contributions from readers! Hello. I was just wondering if camping was permitted anywhere on the trail, or if you were required to camp at the shelters? Thanks! Camping is basically allowed wherever there is a suitable flat space, you aren’t required to use shelters. Please just be sure to observe all LNT principles and camp in a way that no one would know you were there. Does anybody know anything about hiking this loop clockwise? Planning on doing a 3 day-2 night trip in August. Does it cost anything to do this trail? Sweat, gas money, food, gear. We made this a three-day hike. We started this past Thursday afternoon from McAfee Knob Parking Lot and hiked the loop counter-clockwise. We stayed at the Campbell Shelter Thursday night. There was barely a puddle for a water source, but luckily it was enough because there was no more water left between the shelter and the creek along Andy Layne Trail. The next morning we caught the sunrise at the Knob and then returned to camp to pack up and set out for Tinker Cliffs. This was probably the most enjoyable trail, although there were still plenty of difficult elevation changes. The hike up Catawba Valley Trail was brutal and we camped at the first available clearing once we got on the North Mountain Trail. The weather was not helping being in the 80s. I watched the weather forecast and at the beginning of the week it was a more normal-for-October 60s and 70s during the day. But on Wednesday the forecast turned and went into the 80s with some humidity. This made all the difference between a challenging but enjoyable hike to a hellscape survival movie because of the amount of water we had to carry between water sources. North Mountain Trail was no picnic either. Plenty of ups and downs, and the final down is rough and rocky. We got to the road to cross to Dragon’s Tooth parking lot just as it started to drizzle. There was no water available at Dragon’s Tooth, so we had to use the stream at one of the underpasses. We set up camp at the intersection of the AT and Dragon’s Tooth and walked up to the Tooth without our packs. We had to return using our headlamps because of dense fog and darkness. The next morning we got on the AT and headed back to the McAfee parking lot. This was also a brutal, with plenty of challenging elevation changes. There was a solid water source available once we got back to the road before the farm lands. We were all glad we accomplished this hike, but none of us want to do it again. If I have any advice to give, it is to wait until the weather is plenty cool enough and to pack as minimal as you can to keep your weight light. I am fairly fit for a 44 year old, but I wound up losing 7 pounds on this hike. And if anyone wants the name of a great place to eat after, it would be Frank’s Italian in Salem, maybe a ten minutes drive from the Knob. I’m going to d be doing the Triple Crown loop this Oct. 2017. Can you one give a few ideas including: time to start, parking, water and if its still flowing or any other information. Hey Ryan. I was wondering where you got the printed map from? We are doing this trip Wednesday and would like to have a hard copy of the map. Has anyone done this hike recently. I’m planning on doing it in a few weeks. What’s the water situation like this time of year? Can someone help me please!?!?! My son and I are doing a 3 night trip around the loop. I’m looking for an idea of the best places to camp each night. Which campsite’s should be my goal for the day that will get me around in 3 nights?? New at this so anything and everything is appreciated.If someone could make an itinerary that would be awesome!! Ryan, thanks for writing this up! Planning on this hike for labor day weekend! Going solo, for those who have been on the trail recently, are the water sources listed above reliable this late? I noticed most people were trekking in June and July. It might be too much for you if your a beginner. Your going to need lots of water and food if you do it over 3 days. It’s definitely a challenge, but if your athletic you should be ok.
Hi! Thank you for writing back! I’d estimate an average of about ten miles a day, though some could be a little less and some are more. I was thinking maybe if I stacked this hike so that it was a little more equal on mileage, it would work better for me. Thoughts? Love your post and website. The largest “Thank you” for writing detailed information on this along with a circular trail map… I couldn’t find this anywhere. I’m new to hiking and have been on a handful of day trails but desperately want to go backpacking and I am naturally an over-achiever… Do you think this is too much for a beginner? I read your note about packing light — I know I won’t be below 30 lbs. If you get this, I’d love to know your thoughts! Awesome time! Thanks Ryan for the map. I printed it off, and used it on the hike. I made it into a 3 day/3 night hike. I camped where you did the first night, then on North Trail mountain before Turkey trail, and at the intersection of AT and Devil’s tooth trail…. as I side note I brought my dog and he made it fine up Devil’s Tooth. He is an athletic dog though. I changed the date I’m going there to the 7th. I’m taking a full camelback, and a filtration. Since it’s going to rain all weekend there, there should be plenty of water in the creeks. I appreciate the write up and all the good info! I will be doing this hike with my wife and best friend this weekend. Hopefully it goes as well for me as it did for you! Also being so long ago have you been tempted to do it again? If I’m ever in the area again, I’d love to repeat the hike. It’s a really great trip, and like I said we got skunked on the view from McAfee Knob, so I’d love to see how it really looks… Maybe someday! Enjoy! Hey Trenton, I have been looking for a good hike and decided to do this one too. 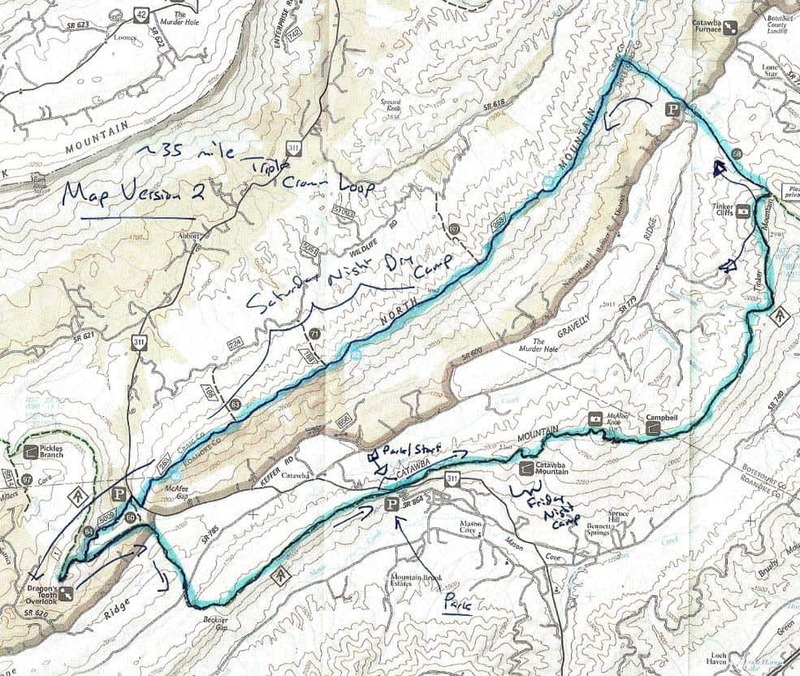 I’m planning my route just like Ryan did his, and I’ll be starting on June 13th from the Catawba Mountain Shelter . Maybe I’ll see you out there! I’ll be hiking with dog! One other thing… I found out that the Lamberts Meadow Shelter and camp sights are closed due to bear activity. Therefore I am going to camp once I hit the North Mountain Trail. How did it go? I’m taking some folks up there June 6th. I just had two friends complete most the loop and they said it was much tougher than they anticipated and that the water situation was worse than they thought. We plan to stage water at the Catawba Mountain parking lot. One of the shelter supervisors said, ‘we’re not dry…there’s water where water is marked’. Any more help with water on the North Mountain trail? The AT site maps show streams flowing west of the ridge. Anyone venture down deer trail or grouse trail for water? Hello. I’m planning on doing this hike solo, in a couple weeks. 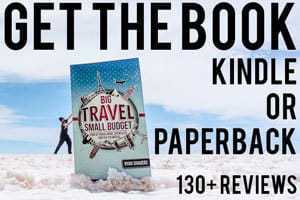 I’ll be coming all the way from Chicago, so I will be looking to camp as the author did – “near the Catawba Mountain Shelter on the way to McAfee”. If there is another recommendation – I’m all ears. I’ll need to camp the evening after I complete the hike. Is there a campsite not too far down the road from the trailhead? I think I’m pretty good with everything else, with the exception of Dragon’s Tooth and the recommendations to “drop your pack” before completing it. I’ve never had to drop my pack before. I don’t really have a problem with it – I’m just curious about how you get back to your pack. Thank you all for the great info. I will let others chime in about other possible campsites… It’s been a while for me. But in terms of dropping your pack: since the hike to Dragon’s Tooth is an out-and-back (ie you go in the same way you come back), you *can* leave your pack below at an obvious intersection or landmark. Set it off of the trail, it needn’t be completely hidden from view (I’ve done this many times and never had a problem with someone stealing things). 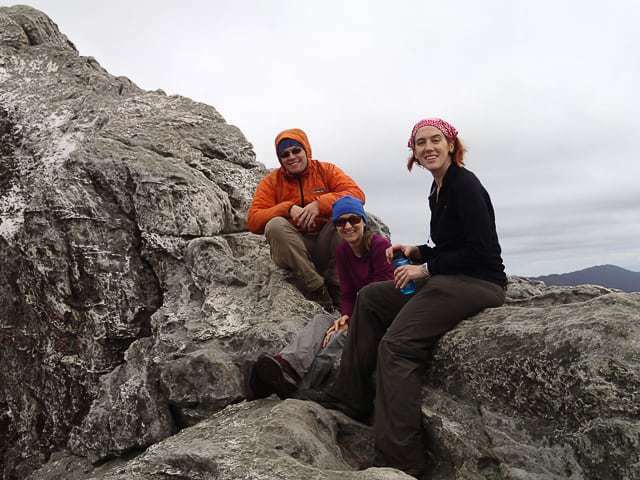 Grab a bottle of water and a snack and head up to Dragon’s Tooth. Then just be sure to keep your eyes open as you return, so you don’t miss your pack and have to back track. Or, of course, you could just take your pack with you. It’s just not necessary for that portion of the hike. When myself, jesse & david did the hike we staged water at the Catawba parking lot. page up to see the detail. this paid off for us. Correction to above – at the beginning should read first road NORTH of Dragon’s Tooth. Plan to do the hike this June. Has anyone heard about the water situation? Chuck, don’t know if you did the hike, but wanted to let others know about the water, especially between 311 and Lambert’s Meadows. Also, in case folks don’t know, once you leave the National Forest at the first road south of Dragon’s Tooth, there are only 7 legal places to camp or have a fire. No permits required, but it is a narrow Park Service corridor surrounded by private land for the AT. Okay, here goes (heading north on AT from Dragon’s Tooth): 1) John’s Spring Shelter is about a mile north of 311 parking lot [no water right now; piped spring to left below shelter is intermittment]; 2-3) Catawba Shelter and campsites [piped spring on AT before shelter has dried up, but follow blue blazes below shelter where stream emerges as pools – if you don’t see water, just go downstream a bit further]; 4-5) Pig Farm campsite and Campbell Shelter [water is via marked path; if pipe is not running lift metal flap on screened pool – has not dried up so far]; 6-7) Lambert’s Meadow Shelter and campsites [stream has been reliable). If you do the North Mountain loop, you will be back on Forest Service land and can camp the usual spots away from the trail wherever you can find them. 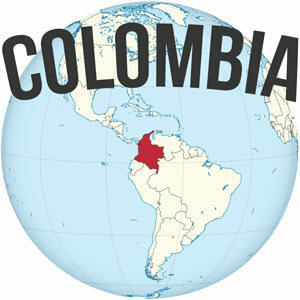 Thanks for the awesome info, thinking about doing this trip in late May this summer. Do you think the rock scramble section before dragons tooth will be do-able for a dog? Yeah, I think a dog used to scrambling around would be fine doing it. You may need (or want) to help them while going down though. It’s a worthwhile hike for sure. I wouldn’t take a dog on this part of a hike, unless it’s less than 20 pounds or so and you wouldn’t mind carrying it for portions. My dogs seem to do fine climbing up scrambles, but get skittish climbing down. A dog is probably not going to injure itself anywhere on this hike, but taking one might be cumbersome and would probably slow you down. Phill, Here is what you’ll encounter. I agree with Larry, that would be a LONG day. I wanted to know what the distance was between Mcafee’s knob and the peak of Dragons tooth? I don’t have all the fancy maps and pics but hope this provides some help to those planning this trek. Meet up around 1:00pm in Daleville, VA. The trip will be with myself, Larry who lives in Florida, my son Jesse from Virginia and nephew David who resides in Nebraska. We stage a car at the Park & Ride in Daleville near the Howard Johnsons, split up the supplies & head out to the Dragons Tooth parking lot. We stage a few gallons of water near the Catawba trail head parking lot along the way as we have heard that water may be an issue. The plan is to drive the staged car to pick up the truck at the end of the hike, more on this later. Hiking starts around 3:00pm as set out for the tooth without backpacks. Being a flat-lander it is trying at first but I adjust as we go. The slew of Hokie coeds that are doing day hikes help with the attitude. View at the top were a good start to the hike, but we find later that the best is yet to come. We only encounter two other hikers at the tooth. We also encountered about 20+ mph winds which made accent to the top a bit precarious. The boys have better nerves than I. Back to the starting point the way we came. We had planned a loop back to the boy scout camp site but daylight was an issue. We load up and head back up the hill to what I believe is the boy scout camp on the blue blaze trail. Water availability was better here than anywhere else on our trek. Pitch camp, have supper & enjoy the evening. It started to drizzle rain just before 9:00 pm and we called it a night. Then it rained about an hour or two, but that was all the bad weather we had for the trip. During the evening & night gunshots were prevalent for many hours, not sure of the source but they were not close by. Awake before the sun, at least I did, start some coffee and relax for the morning. After breakfast we pack up and head out with a late start. Up the hill to connect to the AT and away we go. We cross trout creek and past the old mill site. Look for the small waterfall and you are there. Then we head into the pasture. The fence stiles have been replaced with gates and zigzag passages, which I think are safer than crossing a fence with a pack on. Pass through the meadow & did not see any cows but did not try the water just in case. Across a stream bridge @ Catawba creek, (I think) then back across and head uphill & uphill & uphill toward Beckner gap, where we encountered our only unexpected wildlife of a turtle. We fill our water from the staged container prior to the Catwaba trail parking lot, (this ended up being a good idea) & continue past the Johns spring shelter to our destination at the Catawba shelter. Water was available but I don’t know if that will be the case in another week or two. No one else is there tonight so we pitch the tents in the shelter, chill out and enjoy another awesome evening. 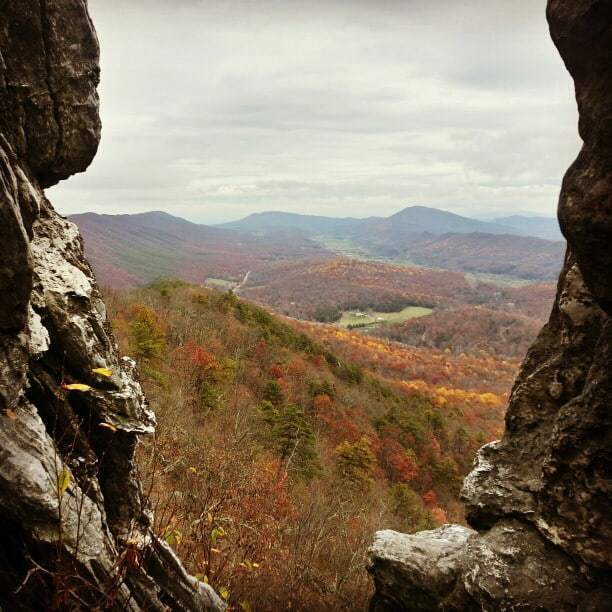 Depart the Catawba shelter around 9:20 & proceed to Mcafee knob to take in the view & what a view of the valley it is. No fog for us today & only one other person there. Jesse & David have a seat with their feet hanging over the know, but I do not now nor will I ever have the nerve. Oh well. We look out across the valley and another “uphill” trek and discover from the map that we are looking at our next destination. After this we follow the trail to Tinker mountain cliffs. Strenuous, but not technical. Lots & lots & lots of uphill, (did I mention I was a flat-lander). The view of the valley, from the other side, was totally worth it. We look back across the valley at where we were and think, damn we just hiked that. The trail continues along the cliff taking in the sites. This to me was the highlight of the hike. The trail then winds down below the cliff and toward our next stop. We pause at the Lambert shelter to talk with a hiker for a bit, the only one we had seen since we left Mcafee know.. The bugs at the shelter were worse than anywhere else we experienced on the trip. A few hundred yards later we arrive at the campsite. Again the water is there but I don’t think it will be for long. Another eve of recounting the day, supper and relax in camp. This is also when we discover that the keys to the staged car are in the truck at dragons tooth. Damn. The temperature dropped to somewhere around 40ish during the night which did not keep me awake at all. Start off around 9:00 heading to our destination in Daleville. There were two overlooks, the first not marked and then the trek to Hay Rock. It was a bit sad to see that the rock had to be painted to cover all the graffiti. We experienced only a few hikers up to that point. After then it almost got crowded. That would be the A.T. definition of crowded. I found the desire to take pictures not to be a great today as the previous days. We met up with and talked with Papa Wolf, Quiet, Dead legs & Moses who said they should be done with their through hike around Halloween. The views of the cove from the power lines turned out to be an unexpected pleasure we had not counted on. The trek ends up in Daleville. There is a turnoff of the trail to the Howard Johnson’s Motel which is not marked. Not a problem if you miss it as you come out on the highway about 100 yards away. We check into the HOJO and call the “Trail Angel”. They have his card at the front desk. He comes an transports me to the truck at dragons tooth parking, which has the staged car keys. They do not charge for this but gladly accept a gift for their efforts. I gave a $20 happily. Another noteworthy item is the HOJO has a “hiker box” on the stair where you can drop items you can’t carry or sift through for stuff you may have forgotten. They also offer a “hikers rate” to stay the night. Clean up and head to the three pigs for supper. Wow, awesome. Thanks Larry for the detailed trip report, I’m sure it will be useful to others in the future. Cheers and congrats on a good trip! With or without cattle present, I think Trout Creek was up hill of the grazing territory enought to be safe, but we were full on water from the boy scount camp site. 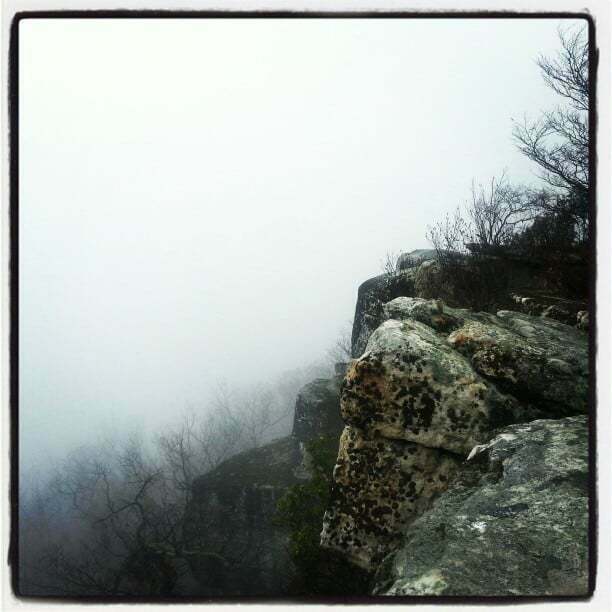 If there is a small rain, there are pools atop McAfee Knob that are large enough to hold and collect from. Each one only holds a few gallons, so it’s first come first serve. I’m not a fan of digging in the water streem if it can be helped, but I think you could do just that in a pinch at the Catawba or Lambert Shelter and have it be worth while. The Lambert Campground (only 200 yards away) is down hill along the stream and will have water after shelter dries up. The site also big enough to hold several groups. I don’t recall seeing any water near the Campbell shelter, but that could be because we weren’t veering from the white blaze. I was suprised the overlooks between Lambert and Daleville aren’t as high on the interest as McAfee. They’re a great spot to take in the few of the southern face of the ridge and the lake. It also has some good updrafts, so you might enjoy it if you’re a bird watcher. I forgot my two-gallon water jug at the Catawba parking lot. It’s red and is free for the taking if anyone wants it. I highly recommend reusing it in-place. It was just the right amount for the three of us to make it to the Catawba shelter with some to spare. Don’t let the Lambert-Daleville leg fool ya. It’s loaded with loose >fist-size rocks that make the otherwise plesant walk prime pickins for a twisted ankle. the write up here is the same as above but the link, spotadventures.com, has a map and some pics. Tough to say, of course, but if your dog has done little scrambly rock bits before, she might do just fine. There are a few sections that are more vertical in nature where they installed the bars for assistance, but they are all pretty short. In my experience hiking with friends’ dogs they don’t usually have a problem going up somewhat precarious things, but they make me more nervous on the coming down part where they seem to be a little more casually about just jumping down. In any case you can always do the loop and skip the out and back to Dragon’s Tooth where all the little scrambles are. Or you can head up as part of the bigger loop and if it looks to be too much, just turn back to complete the rest of the loop. Hope that’s helpful. Thanks for reading and commenting, Jayne! I’m hoping to do this route next week with my cattle dog and it would be great to hear about your experience with your dog. Did you encounter any troubles? My pup is fairly adept at scrambles (we’ve done plenty of peaks together in Colorado) but I definitely don’t want to put her in a precarious situation. ps. Ryan, thanks so much for this amazing write-up! Really looking forward to getting out there next week. Just returned from this hike last night. Despite rain and fog for a day and a half, fantastic. and the rain provided much needed water before reaching Tinkers, since the spring we found earlier that day was dry. We parked at Dragon’s Tooth and headed up the scout trail to AT north, enjoyed a foggy McAfee, passed Cambell shelter and found a nice spot to camp about 2 miles from Tinkers. Tinkers provided more drinking water via rain pudles and an equally foggy view, with one glorious break in weather for a good view. We hiked off to Andy Lane, filled up on water from a nice stream there, a little chlorine bleach and it was delicious. Avoid the next stream which borders a cow pasture and is obviously not to be used for water, and its up into the mountains. Rigorous hike, we found a small spot to camp about half a mile from Turkey Trail, but i would go further in the future, it was very windy of course. The last day blew by as we spent most of the time descending and then the quick jump to the Tooth, and done by lunch time. Wear good shoes, N. Mountain trail isn’t difficult in terms of slope and elevation, but the terrain is rugged and rocky. All in all I think our trip was something like 15/10/12, with the third day being the easiest. 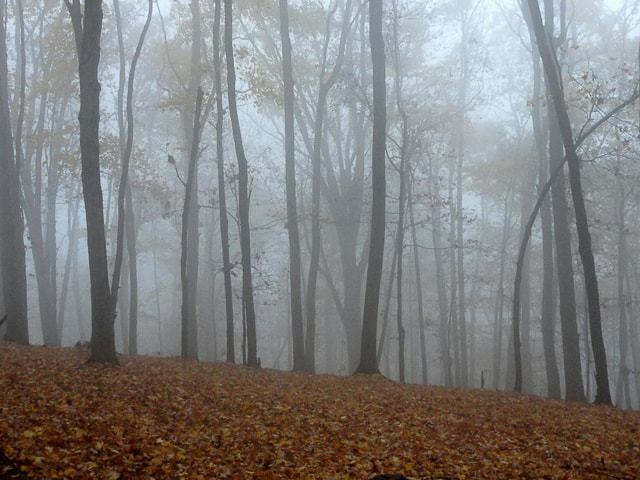 Dress warm, plan camp and water sites, and enjoy the spectacular views and eerie fogged in forests. There is water at lamberts, at a stream before the real hike up north mountain, and you can always go down grouse trail if you really need water. Beyond that, it’s only a couple miles to water by dragons tooth. The hike is incredible and the views are amazing. That said, it was incredibly difficult. We are in shape and young, but I would recommend packing as lightly as possible (you will not regret this), bringing extra water canisters, and be ready to work! We did 3 days, hiked roughly 9-3/4 everyday. It was tough!!! The rolling hills on the last day are beautiful. As a final tip–we stashed our packs in the dragons tooth parking area (hid under shrubs) and finished the hike without them. I wouldn’t do dragons tooth with more than a daypack if you don’t need to. Nice work! I love that feeling of accomplishment from a physically challenging hike! Thanks so much for the report. I couldn’t agree more about going light. Light is right when you are covering this sort of mileage and elevation change in a weekend. If anybody needs a 101 on going light while backpacking I can’t recommend enough Andrew Skurka’s Ultimate Gear Guide and the awesome (and animated) Ultralight Backpackin’ Tips from Mike Clelland. having just returned I concur about not doing dragons tooth with full gear unless you are a seasoned hiker. Very cool, Larry! Enjoy it, and I look forward to your contribution of your experience. Just to confirm, there are no permits needed for this? We are new to this and have had to get permits for past hikes, but I have not seen anything about it for this. Thank you. Nope, no special permits needed. Thanks Ryan. I hate to bring up water again but wanted to make sure I had the water spots right. Please correct me if I’m wrong. 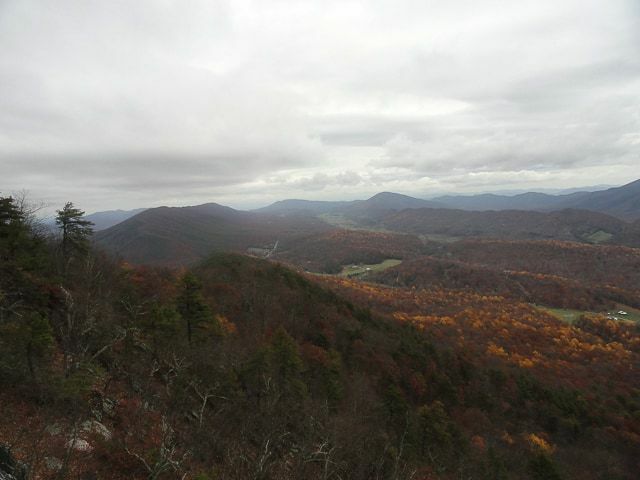 Following counter clockwise, water at/near Catawba Mtn shelter; water a mile past McAfee Knob; water at Lambert Shelter. You mentioned something about water after the Andy trail, where is that and where is there water after deer trail on the way to dragons tooth or after that? Your map is very helpful, I am adding these little details to it. Thanks. I was there a couple of weekends ago (7/10 – 7/12) and didn’t do the whole loop but can tell you that the springs at Catawba Mountain shelter and John’s Spring shelter were totally dried up, and didn’t see other water around either area. I didn’t visit Lambert Shelter. There was water in the creek on the way up the dragon’s tooth trail. There was also water in the creeks around the fields Va785, but note that most of this is runoff from the farm fields. On 7/27, the stream was still running at Lambert’s Meadow, but it is getting low. Thanks all! We, my 2 sons and I, just got back this morning. Lambert’s was pretty dry two nights ago. We found a couple small running pools/puddles we filtered and treated. Unfortunately, being beginners, we were not up for the entire loop with limited water, so we back-tracked to Pig Farm, again found a “puddle” and then headed out this morning. We met a couple through hikers that said they had read that the area was having near drought conditions now. We are not discouraged though and are already planning the next trip. Thank you to all who have commented here over the years; it was a terrific guide for us. * Slight edit to the permit rumors: RATC has signage posted at the Daleville trail head that says permits are required for day-hike groups larger than 25 and overnight groups larger than 10 (probably due to the size of the shelters and camp sites). I don’t recall seeing any prices listed though. One more question for everyone. Is the parking lot at Macafee Knob safe to park my car for 3-4 days or is there someplace else you suggest? Hey Chuck, I don’t think there should be problem. No more likely to have problems than any other trailhead, so far as I know. We parked there for two nights without incident. Chuck-sorry, I meant to answer earlier. I agree with Ryan that there shouldn’t be a problem parking there. We parked on a Friday, mid-morning and there were half a dozen other cars already there. I imagine there would be lots of cars there on any Saturday, and we got back Sunday night, with maybe another half a dozen cars there. I’d say that if you left your car there on a Tuesday-Thursday, you could be vulnerable if someone drove by late one night and your car was the only one parked there. But that’s just speculation on my part. Personally, I wouldn’t want to leave a nice BMW parked there for a few days during the middle of the week. Lucky for me, I don’t have a nice BMW. Car looting is usually a crime of opportunity, so the count is pretty low in remote lots. We left one at Dragon’s Tooth (remote-ish) and the other at the Daleville lot (not remote at all) and didn’t have an issue at either. At Daleville, I put everything in the trunk, emptied the glovebox and center console and left them open just incase. 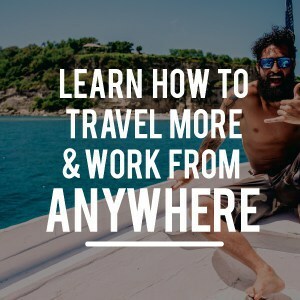 I am a new backpacker in my late 50’s. Using your article I drove up to Roanoke from Charlotte, NC to hike Macafee Knob and Dragon’s Tooth this April. I am now back training to do the Triple Crown around June 15. I appreciate your article and information provided. I am now trying to average 15+ miles a day here on local trails to be better prepared. One question I do have…what is the water availability like one the Cliffs portion of the trail? Chuck- there is a shelter with a water source maybe a mile past McAfee Knob (if you’re hiking a counter-clockwise route from McAfee to Tinker to the North Mountain to Dragon’s Tooth). I don’t recall any water on or near the cliffs themselves, but it’s not a terribly long hike between McAfee and Tinker Cliffs, and then from Tinker to the Lambert shelter is a fairly easy (mostly downhill) hike to a good stream there. If you’re up to 15 miles a day now, this loop will be a piece of cake for you. Good luck! I just finished this hike (April 11-13, 2014). We did a 3-day Fri-Sat-Sun which broke down to roughly 11-12-15 miles (according to my GPS). I just wanted to say that your map was very helpful. We had a couple others of more detail, but found ourselves regularly using yours. So thanks for putting it up here. A note to anyone reading this and planning the hike… the second day was tough. From Lambert’s Shelter up to the top of North Mountain was quite a bit of elevation change in 2-3 miles. And the North Mountain Trail was 13.2 miles with no water. It was a beautiful trail with rolling hills (none too difficult), but plan to carry as much water as you can which of course will slow you down a bit. Hey Matt, thanks for stopping by and leaving a comment. Hope you enjoyed the trail, glad to hear the map was helpful. If you care to elaborate about where you camped roughly for those two nights, that might be helpful to other readers considering a similar mileage split… Cheers. Sure- we camped the first night at Lambert’s Meadow Shelter. It’s about 0.7 miles off the main trail so required a little backtracking in the morning but it was a nice area with clean flowing water so it’s worth it. On the second night we made camp at 3,100 ft elevation on the North Mountain Trail– past Deer Trail and about a half mile or so before Grouse Trail (heading south). There were enough areas to camp on the trail and there was plenty of firewood laying around. I got the impression that few backpackers make this loop as it was a beautiful weekend and we only saw one other pair on the mountain, and little sign that it was used frequently. Still, it was well marked and had some beautiful views. One final note: my hiking partner and I aren’t extreme backpackers, and we’re in fair physical shape, but this trip should be doable for most– albeit a bit challenging at times. Overall, a great trip and well worth it. Hey Matt; I am planning on doing this early June starting at Macafee Know going counter clockwise. After Macafee….how well is it marked taking me around Tinkers and then to Dragons tooth? Thanks for any info you can provide and suggestions on water preparation and equipment you may have used. That’s the same direction we went. All the trails and intersections are quite well marked, I don’t recall any problems. The AT parts are obviously well marked and well traveled, the other side of the ridge less well traveled, but there are still trail intersection makers and it follows the ridgeline so it would be hard(er) to get lost or have issues. If you’re used to East Coast style hiking and trails, I think you’ll be just fine. The trails are pretty well marked, but I’d make sure to take the map. I used the one Ryan has here on the site and it was helpful. As far as equipment goes, like any fairly long hike, go as light as you can. The difference between a 30 lb and 40 lb pack is significant after about the second mile, and very noticeable when you’re hiking uphill. I got my pack down to about 25 lbs (minus water). I used a Sawyer mini-water filtration system (available from Amazon for about $20). This thing was great, and only a few ounces. But honestly, a couple of the water sources were cold water streams and the water in them was probably cleaner than most city water supplies and wouldn’t even need filtering. I drank water straight from the creek several times. But still, I would never recommend going without some type of purification system. What maps did you use to lay out your trip? I’ve had trouble online finding good topo maps that also show the trails. I can’t remember specifically, but I mostly used the Nat Geo maps, supplemented with the PATC maps, both of which should be available at any local gear stores or online. Have you checked out http://www.hillmap.com? They have a pretty awesome interface for exploring topo maps with arcgis and other choices. Not always complete for trails but can definitely help with planning routes, finding mileages, etc. I know this is an old post but looking for some information on the hike. I am doing this hike with a friend of mine in a few weeks and super excited. Are there any streams or lakes along the way that are accessible for fishing? Any info would be greatly appreciated. I don’t recall any fishing streams or lakes along the way… Enjoy the trip though! 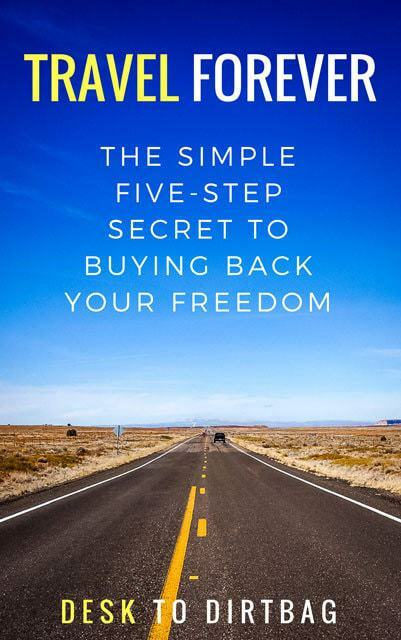 Going to be giving this a go this weekend (June 8-9). Great write-up and info. Great write up Ryan! 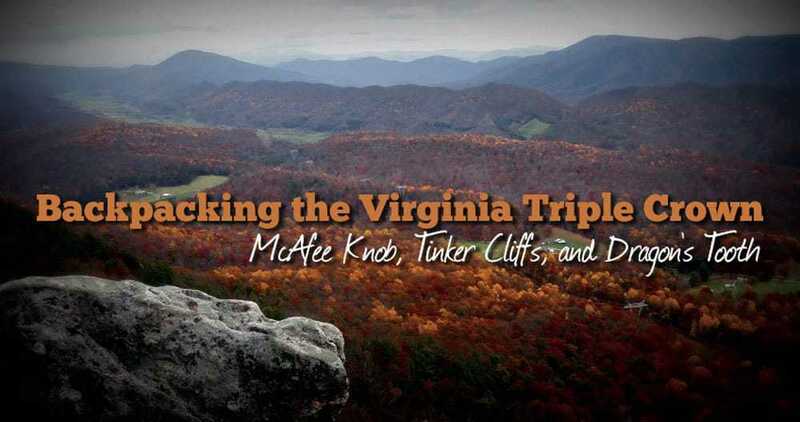 Having gone to college down in Southwest Virginia, we hiked McAfee’s Knob and Dragon’s Tooth a number of times and many other trails in that area. 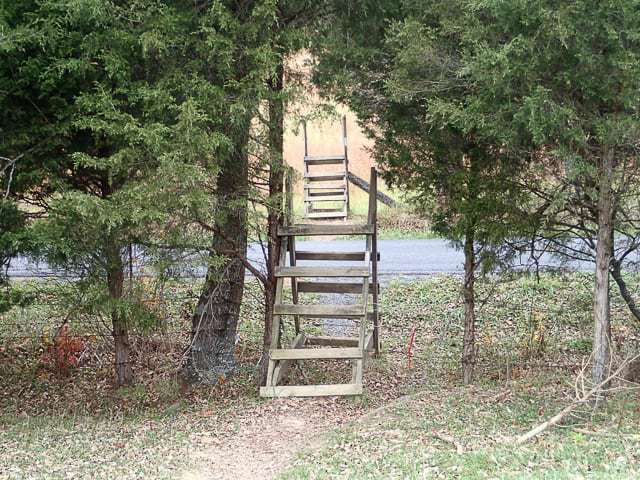 The ladders over the fencing are everywhere in that area along the AT and other trails too…makes for an interesting experience! Sorry you didnt get to get the views from McAfee’s like you wanted, they are certainly worth the hike up there. Ha! My failings immortalized on yet another website. 😉 It was a fantastic trip. I wouldn’t call them failings, Sharon! But merely opportunities for you to show off your ingenuity!